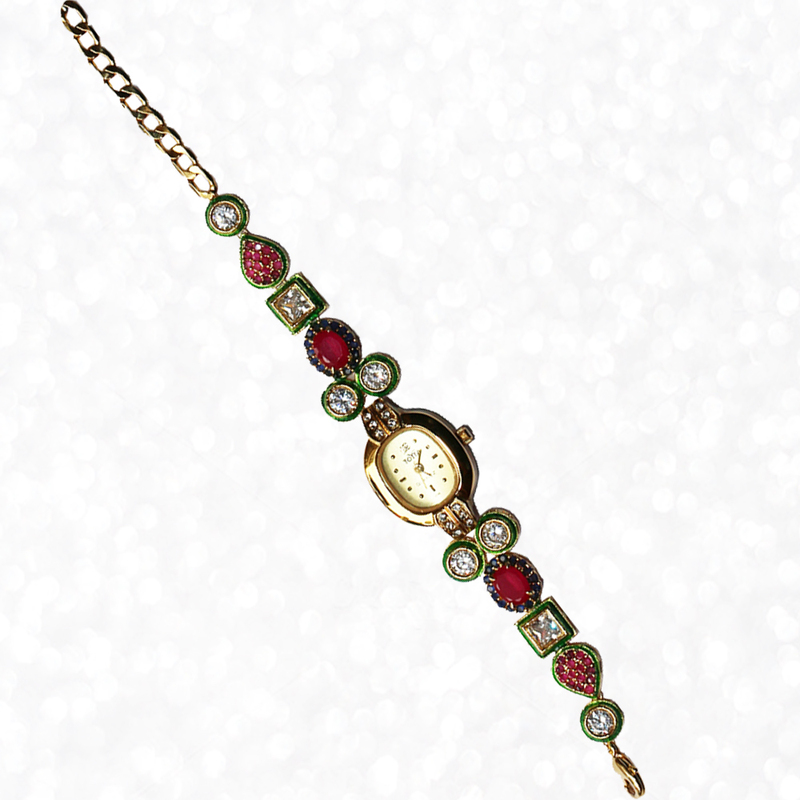 This Oval Shaped Dialer allergy free gold polished Wrist Watch with Kundan and Stones is sure to impress with its intricate design work, which along Read More..with the presence of stones, as well as, CZ ruby, zircon, and Kundan work adds to its appeal. Therefore, wearers of this watch are bound to revel in the positive light it showers upon their sense of aesthetics. Show Less..